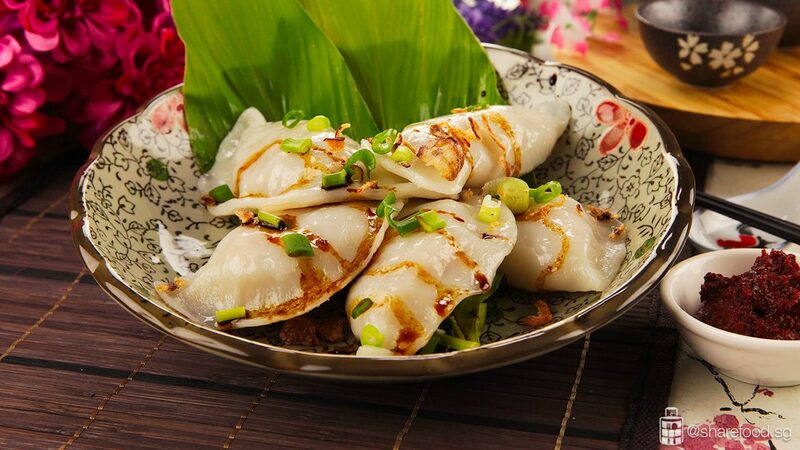 Traditional handmade rice skin stuffed with stir-fried bamboo shoots, turnip, dried prawns and mushrooms. A Teochew Soon Kueh recipe shared by Eddie Tan also know as Shiokman Eddie. He's passionate about food and loves sharing his recipes with everyone. Let's find out how he creates this satisfying dish! In this recipe, the skin is almost transparent, and the fillings are packed with intense flavour. There are two important components to making a good Soon Kueh. First the skin should be thin and slightly chewy. While some may choose to use chopsticks to mix the hot water with flour, you'll need a lot of strength to mix the dough when it changes to a semi-solid texture. 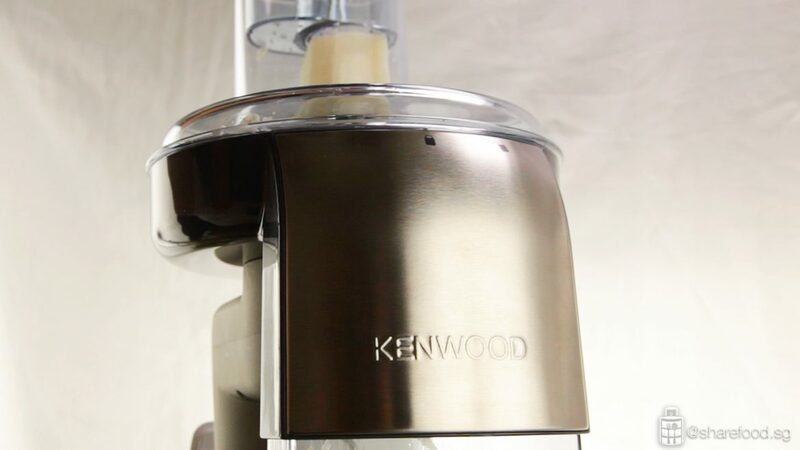 To achieve a well-blended dough without risking scalding our hands, we used Kenwood's Chef Sense XL stand mixer and the bread hook. 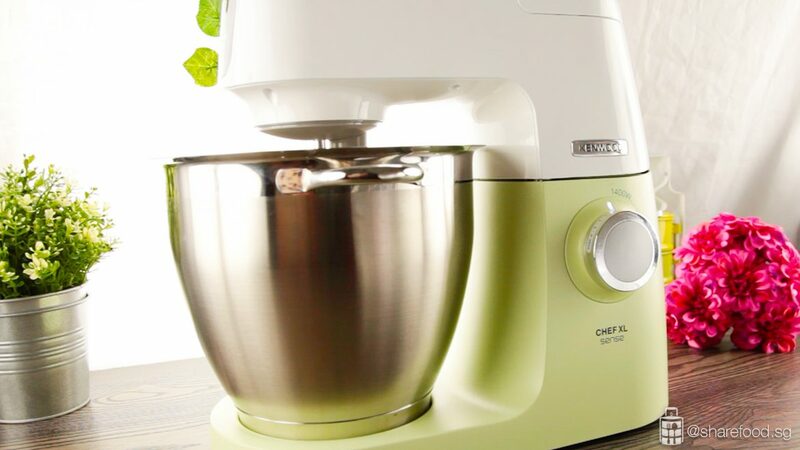 This stand mixer comes with a large mixing bowl and you can make more than 50 Soon Kueh at one go! 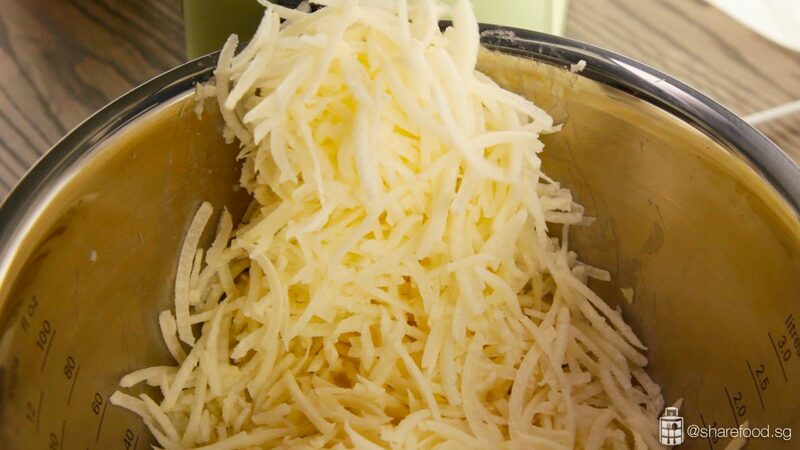 The second most crucial part is the filling which can easily be prepared with the same machine. 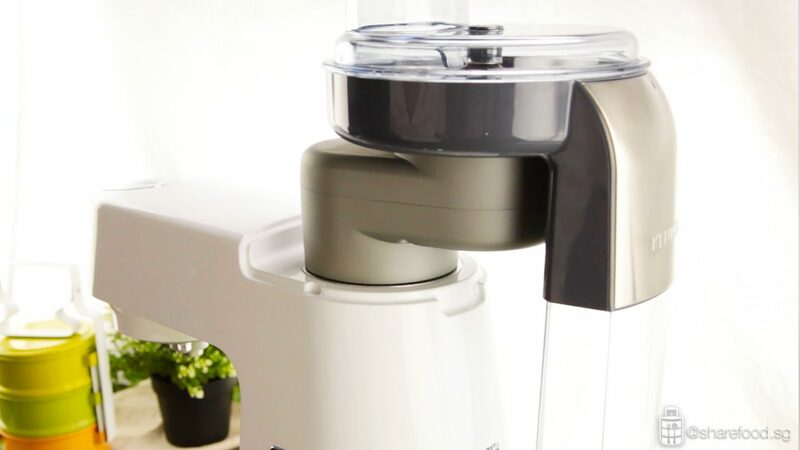 There's an attachment that can be added on and you'll be able to shred the turnip and carrots on the side. It's really simple to get thinly shredded vegetables so that the filling would be evenly cooked. 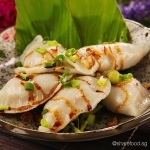 Traditional handmade rice skin stuffed with stir-fried bamboo shoots, turnip, dried prawns and mushrooms. 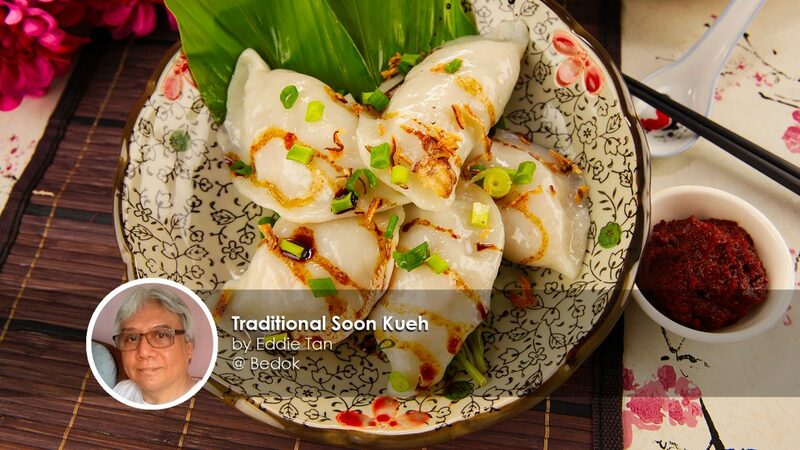 A Teochew Soon Kueh recipe shared by Eddie Tan also know as Shiokman Eddie. In this recipe, the skin is almost transparent, and the fillings are packed with intense flavour. 80 g dried shiitake mushrooms soaked with 500ml hot water till it resumes it's form. Keep mushroom water to be used for cooking. In the stand mixer, pour in rice flour, tapioca, salt and hot water. Attach the bread hook and mix till the dough forms. Pause the stand mixer, add in the vegetable oil and continue to mix the dough. 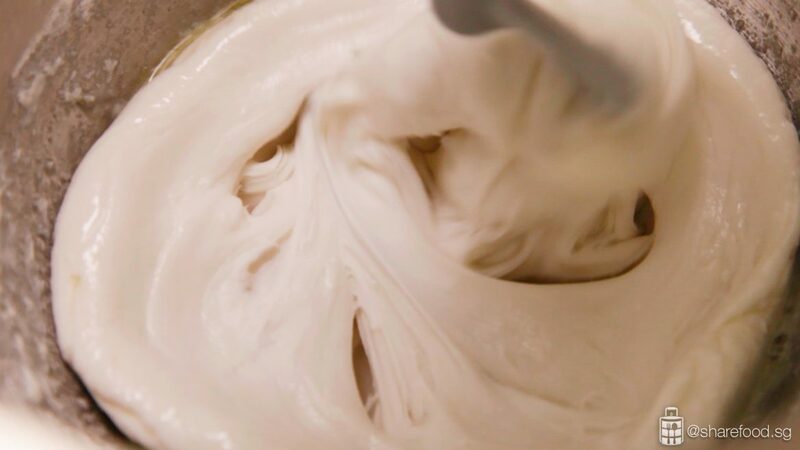 Dough is ready when it’s smooth. Set aside to rest for at least an hour. On the stand mixer, attach the pro slicer / grater attachment. Shred turnip and carrot into thin strips. In a pan, heat up with oil. Fry minced garlic till fragrant. Add in soaked dried shrimps, fry till fragrant. Add in mushroom, bamboo shoots and 500ml mushroom water. Mix all ingredients well. Add in turnip and carrot. Keep stirring until turnip and bamboo shoots soften. Add in more water if it's too dry. Add in sugar, light soya sauce and pepper. Mix well, add in more seasoning as desired. Do not be tempted to add in too much seasoning as the taste of the filling will get richer after it cools down. Dust your hands and work station with tapioca flour. Grab 35g dough and flatten each piece into a thin layer. Place about 2 tbsp of filling onto the center of the Soon Kueh. Fold and seal the ends. Line the steamer with parchment paper. Brush a layer of oil on it. Place the Soon Kueh into the steamer and steam for 10 mins. Brush a layer of oil on the steamed Soon Kueh to give it a little shine. Drizzle sweet sauce and garnish with spring onions and fried shallot. Now it is ready to be served!